This "event" is a great time to have fun, test our emergency preparedness and enjoy our companions ~ and the food's good too! This year's location was at the Stanwood Fair Grounds located East of downtown Stanwood. 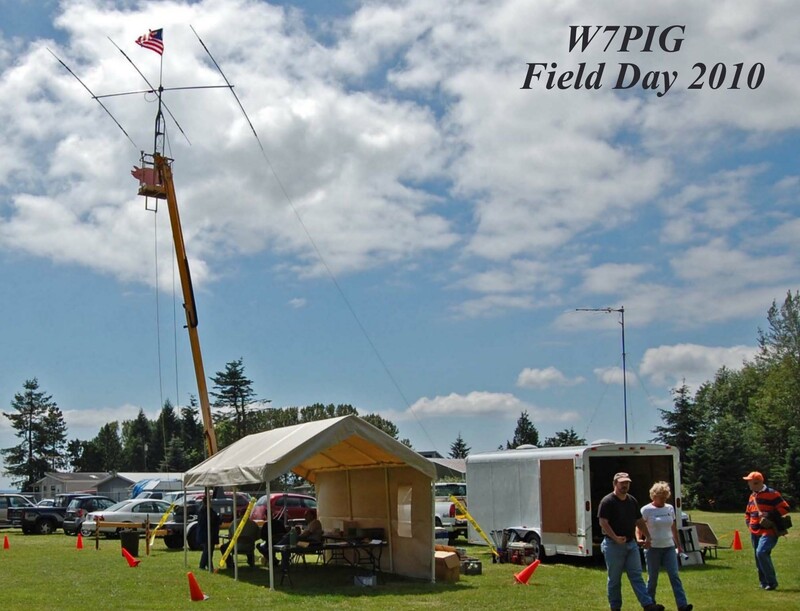 The club operated three primary HF stations, one each on 80, 40, 20 and one VHF station on 2 meters; a Get On The Air (GOTA) station for demonstrating Ham Radio to visitors; demonstrations of digital telecommunication and Amateur Satellite operations and more. The public, especially youth groups, were invited to visit and experience first-hand, the thrill of Amateur Radio! Many thanks to Bobbie, KA7ZNN, for the pictures! Click on any of the above images to see a larger version.